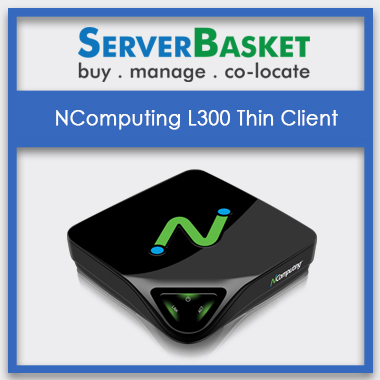 Buy NComputing access devices online from Server Basket at the lowest possible investment. There are multiple offers flooding and a wide range of access devices are available. Everything is available for the low price. We provide free consulting support. These devices provide an economical solution to everyone such as call centres, schools, colleges, IT offices and etc. why late?? 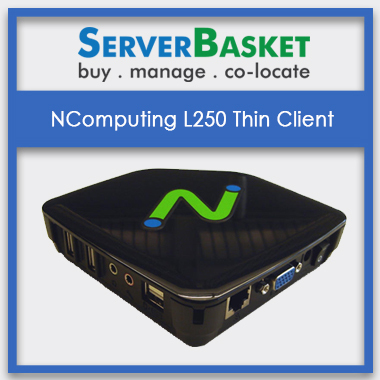 Order NComputing access devices from Server Basket and avail some of the key benefits that resolve real-time problems. Server Basket holds a wide range of NComputing devices which provide accessibility and solution for everyone. NComputing establishes an encyclopaedic virtualized solutions to the end-user computing at unsettling lowest prices. Some of the devices available with Server Basket are NComputing RX300, L-series, and MX-series Access Devices populating the wide range of NComputing devices category. They are easy to install and your set of community people can be owning their own virtual computer. Buy these access devices at the best buy price from Server Basket if you are looking for the best discounts and great services. First, we will know what your exact requirement is and what will be the purpose of its usage. Based on the requirement criteria we provide the server hardware sizing. Since based on the business requirement the prominent hardware size has to be chosen. If your usage is very minimal then the larger size of the hardware will be in vain and will effect on your costs. Therefore to reduce the further complexities we at Server Basket come up with an augmented solution for any need (be it for educational institutions, hospitals, call centers, offices, etc.) to provide the perfect server hardware sizing required by your business. We provide free POC, i.e. proof of concept for 15 days. We provide detailed purpose of the NComputing devices, its benefits, usage, and installation etc. so that this will give customers a clear view of the NComputing devices before in-hand and know whether it is suitable for your business need or not. Based on this, customers can approach for the purchase if they are satisfied with its features. We are one such online store that can be relied on any day! When you hire a larger group of staff and every single person need to work on a computer, it can take a lot of investment, probably not at the start but maybe during the process when issues occur. The smart way to approach the problem with a magnificent solution is opting for NComputing devices and creating a very own virtual computer which do not require any CPUs or RAM and can be accessed by every single person. This is one stop solution for any business community such as call centres, co-operate offices, educational institutions, hospitals and etc. Even if you are a small business that wants to save on IT budget, NComputing is an ideal device for you. All the NComputing access devices which are available from Server Basket can compel with multiple platforms. There is no need to worry if you are running your server on any operating system. They can support Windows XP, Windows 2003, Windows 2008, Windows 2012, Windows 7 and Windows 8 and Ubuntu 10.04.2 & Ubuntu 10.04.04 etc. NComputing devices cause less maintenance and scrutinize to be kept by IT. This allows your staff/ people to be more productive with fewer downtime possibilities. Experience a modern desktop by deploying vSpace Pro client on your existing server. Once it is installed, you can access your modern and secure desktop without even upgrading your hardware system. No matter if it is a new hardware or an old server that cannot run new OS; anything can work with vSpace Pro Client installation. There are many key benefits towards its installation as you can access your virtual desktops anywhere by connecting to LAN or Wi-Fi connection witout spending extra on buying a new desktop with updated OS. The NComputing infrastructure requires less support and maintenance. NComputing provides economical solutions and keep the computer up and running 24/7 without causing any downtime. With VESA-compliant mount brackets, NComputing devices can be easily mounted without any hassle. We assure the risk-free maintenance throughout and in the long run. Availing these services at the lowest investment can happen only at Server Basket. Server Basket provides 3 years warranty from the date of purchase for any NComputing device purchased from our website. In case of any issue raised during the course of usage of the device, you can make use of the warranty card and approach us for any technical help needed. Server Basket is happy to help its customers with all the technical help they want. We offer free delivery of all the NComputing access devices throughout India, to all the metropolitan cities such as Hyderabad, Chennai, Kolkata, Delhi, Mumbai, Bangalore etc. and to every nook and corner of the country no matter how local and remote. We deliver to any requested location within 2-3 business days.